Wacca font by Motoki Higa (One Fonty Day type foundry) is a contemporary humanist Slab Serif family with a strong presence and uniqueness. 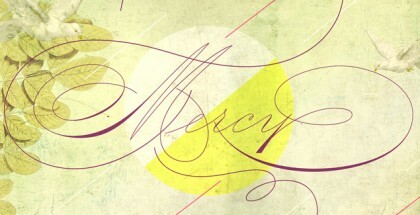 It features an organic and handwritten look for your distinctive, eye-catching and fun designs. 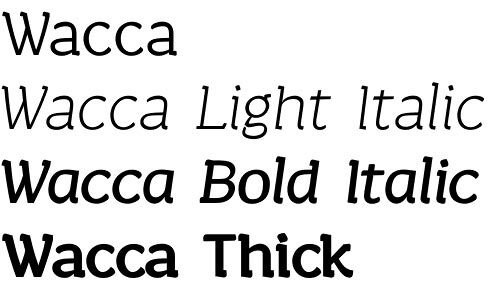 Wacca font family comes in four weights: Light, Regular, Bold, and Thick, plus their matching italics. The font’s large x-height determines its good legibility. 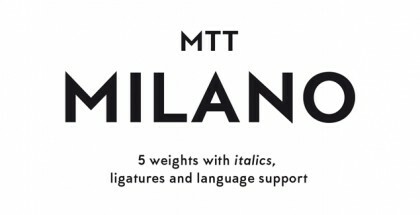 The italics are with a bit more cursive stroke, resulting in more elegant shapes. Wacca font family offers some of the standard OpenType features such as stylistic alternates, ligatures, fractions, numerals, etc. as well as a multilingual support. Motoki Higa is Japanese graphic designer and illustrator, started type designing spontaneously but steadily.